Pink xmas or Classic Christmas? Quantos jantares de Natal já tens planeados? Aposto que não tens “ugly Christmas sweaters” para todos. Por isso deixo-te aqui uma alternativa às cores clássicas e looks tradicionais de Natal. Millennial-pink-xmas-look para o jantar de Natal com as amigas. 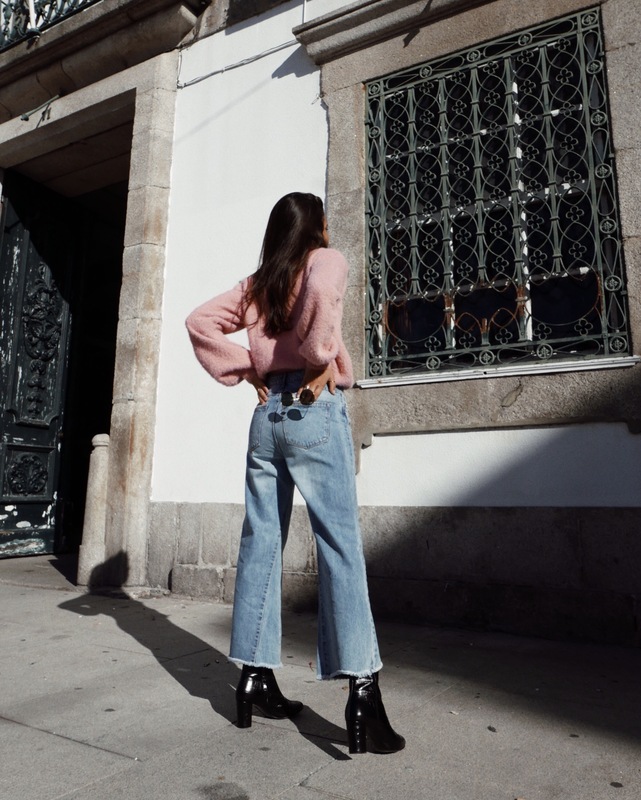 Além de cor de rosa, é um look super comfy, perfeito para por mãos à obra, se for o caso. How many Christmas dinners do you have planned? I bet you don’t have enough ugly Christmas sweaters for everyone. So here’s an alternative to the classic colors and traditional Christmas looks. Millennial-pink-xmas-look for that Christmas dinner with friends. Besides being pink and cute this actually is a really comfy look, perfect for bake a cake and put that turkey in the oven if that’s the case. Classic Christmas with the family. Este look para a noite da consoada parece-me ideal para me redimir dos dias em que apareço em casa da minha avó com uns jeans rotos. O vestido preto dá para todas as ocasiões, é simples, veste muito bem e com um casaco de lantejoulas até nos resolve o drama de encontrar um vestido para passagem de ano. Ando há algum tempo para comprar um blazer em tweed, encontrei este no El Corte Inglés e o Natal foi uma ótima desculpa para o comprar! Família, estou pronta para o Natal, comecem as festividades! This look is ideal for Christmas Eve. Actually it’s perfect to redeem myself from the days I showed up at my grandmother’s wearing ripped jeans. As we already know the black dress works for every occasion. It’s simple and fit’s very well. You can wear it with a sequined jacket over to get over that finding the perfect New Year’s eve dress drama. I’ve been wanting to get one of these tweed blazers for a while, I found this one at El Corte Inglés and Christmas was a great excuse to buy it! Family, I’m ready for Christmas, let’s get this party started!